AAACU knows the importance of keeping your dollars local and the benefit it brings to our communities. Now through our Commercial Lending services, we can offer more opportunities to our members and aid in building financially strong communities throughout Northeast Michigan. For more information please contact Jerry Schmidt. Jerry brings over 28 years of experience in the financial industry with the last 18 years spent in Commercial Lending. He received his Bachelor's degree from Wayne State University and went on to obtain his MBA from Walch College of Business. 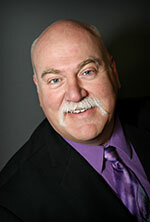 Jerry has also been an active member of MidMichigan Business Relations Committee since 2003. Jerry joined AAACU in 2018 and will be providing business lending services throughout Alpena, Alcona, Montmorency, and Iosco counties.